China has enacted its long-awaited Foreign Investment Law this March but will only come into effect as of January 1, 2020. So far this law is warmly welcomed and hailed at large by the international communities. Over the last 10 years, I and my team have been offering legal services related to inheritance and estate planning for clients from many other countries outside of China. We have written a number of posts on this blog in that regard. This post is rather an effort of myself in learning property laws in common law countries. Does China has its own version of trust law? Many may not have a ready answer. Yes, China does have its own Trust Law enacted back in 2001. This post will summarize the main provisions and talk about the main issues. There has been quite a few inquiries in the past from foreign companies that own properties in China (either residential or commercial) on how they can sell their China properties and then convert the sale proceeds into foreign hard currencies such as USD or Euros and take the same out of China. News started telling that China is tightening its foreign exchange rules to restrict money outflow from the beginning of this year or late last year, and recently, we saw an explosion of internet discourse on this topic. Many panic. Understanding China’s foreign exchange rules is never an easy job, esp in an era when China is aggressively reforming its financial systems. A new rule can well be revised in a few months. China is still on the way to open up its capital account in terms of cross-border capital flow, in a well-calculated manner. When looking at China’s management of its foreign debts, one can easily get dizzy while navigating through tons of rules that have been issued, revised and replaced frequently over time. China has witnessed its foreign exchange reserve dwindling over the last couple of years on the backdrop of its economy slowing down and its attempt to maintain its currency value. News on Sohu has it that Shanghai local industry and commerce bureau (the agency in China in charge of company registry) has called a halt to setup of commercial factoring firms, following the suits of Beijing and Shenzhen, the other two major first-tiered cities in China. As a part of the China’s planned financial reforms on the so called capital account, China has not expressly allowed its citizens to purchase overseas properties, despite some attempts in the past by some local government, which were called off by the central government. China’s role in the global economy has rapidly changed. 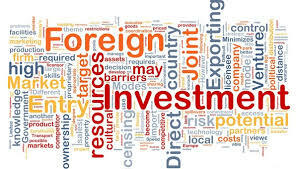 As Chinese FDI outflows are rapidly closing the gap with inflows, the country is expected to be the most important net investor in the world in the coming two years (Unctad, 2014).